The ControlRoom DashBoard Utility is MUST to have professional tool for serious traders which gives immense power to their trading style and strategies. It has a powerful graphic user interface (GUI) screen which reduces the need to check different symbols in different timeframes separately and the need to have multiple screens for managing their live trades. 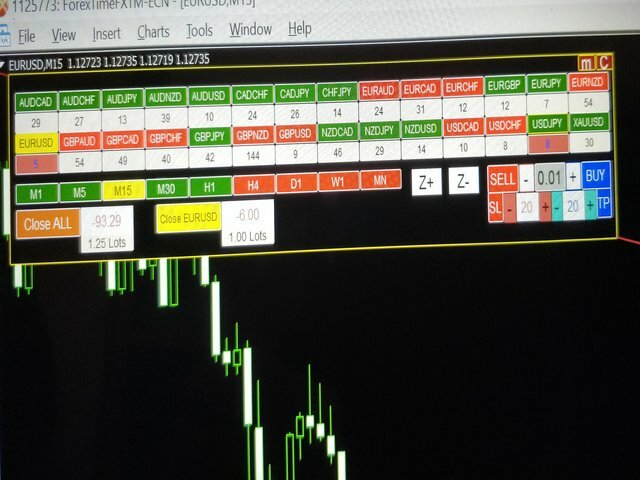 The DashBoard creates a Control Room setup where a trader can access the whole range of market (27 different symbols) at one point. With its unique Trend-Identification algorithm based on Heiken Ashi, the DashBoard highlights Green Coloration for Symbols which are in UpTrend in a particular timeframe and Red Coloration for DownTrend symbols thus adding confidence in trend identification. Also, it displays important critical information for trader like Total-Open-Lots, Total-Profit/Loss, Current-Symbol-Open-Lots, Current-Symbol-Profit/Loss, etc. The GUI has most-needed buttons like Close-All-Trades button to close all active trades with one click (of course it confirms first before doing that ;) ), Close-Current-Symbol-Trades button to close all open trades for that current symbol. This DashBoard most importantly has an inbuilt scanner in its algorithm that scans the market continuously to spot opportunities like Breakouts and News Spikes which could provide much profitability trades. The alerts can be added for On-Screen, Email and Mobile alerts to react to such events instantly. In a way, the ControlRoom keeps an Eagle-Eye on the broader market events to CONTROL & Manage the trades in the best possible way. 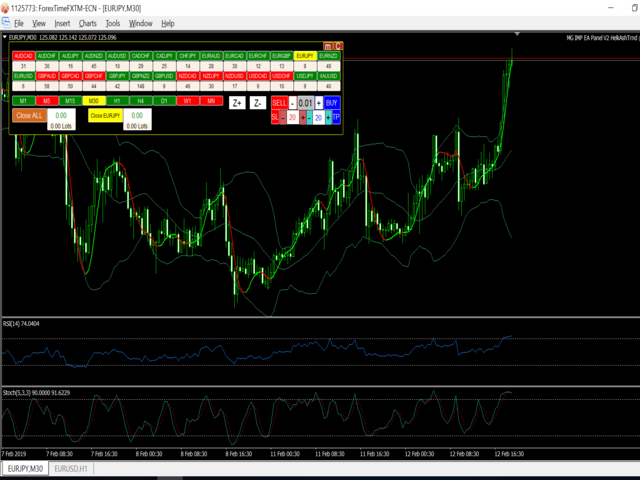 An option to store all indicators or trendlines or any work done to each symbol separately. For that "Save Template of Every Chart" needs to be entered with 1 in Inputs Tab at start of the EA. Save Template of Every Chart - If 1 (YES) is entered, EA will save settings permanently (like trendlines, indicators, etc) as template for every symbol separately. & if 0 (NO) is entered, the settings will not be saved permanently. Write 0 here - Zero (0) needs to be entered in this variable always.